Sometimes it happens, and perhaps only if I’ve been good for Santa, that a story which is perfect for you lovely readers of the Foolery column appears. This week was one such occasion. Thanks to one man in particular commonly known for his roles as Richard II, Hamlet, a character in Broadchurch and most famously of all perhaps Dr Who. That’s right I’m talking about David Tennant and his specular feat in just a minute. Confused about the Shakespeare connection? Hear me out on this one. In the UK there’s a radio programme on BBC Radio 4 entitled ‘Just a Minute’ (1967-) in which contestants have to talk on a given topic for (you guessed it) a minute, without hesitation, repetition, and deviation. If they are caught doing any of the three by their co-competitors then when the bell is rung if the challenge is successful the accuser takes over the subject until they make a similar error. Harder than it sounds perhaps, especially if you’ve never played before. But not for David Tennant apparently. On his first appearance ever on the show he managed to power through a minute without interruption. Quite an impressive result. The subject area? ‘Exit pursued by a bear’ (the Oh so famous stage direction from Winter’s Tale). If you click here you can listen to the minute of Shakespeare excitement which has caused Tennant to hit headlines all over the place this week. For a radio show contestant (I know, I know he’s also a famous actor but nevertheless) not bad going! It probably helped that he’s done some Shakespeare with the RSC recently, I wonder how he’d have coped with a similar challenge faced with a Dr Who line. He described when the line occurs and the plot at the time it is spoken and then discussed with great intricacy the staging of the play and the diffuclty of staging such a direction – suggesting many possibilities – revealing his knowledge of Shakespeare and theatre in general beyond the (to quote Hamlet) ‘mere words’ he has to learn. Also in Foolery news this week we turn to social media where a new Shakespeare arrival has appeared this week. Do you remember the ‘new’ First Folio found in France not that long ago? Well that very same First Folio – not the manuscript obviously – has launched a twitter account allowing global audiences to find out about the weird and wonderful marginalia therein and all sorts about the text itself. Eric Rasmussen, the American #Shakespeare expert, was the one who authenticated me as being a #FirstFolio last November @VilleSaintOmer! An exciting moment for the overlap of academia, social media, and a bit of good old all round fun. If you want to follow or find out more you can check out the account here. Are you an avid songwriter? Or have you always wanted to write an Ode to Shakespeare (like Milton did, no really he did!) well then the upcoming RSC competition might just be for you. There are only 6 weeks to go so you’d better get writing, ready for the winning entry to be performed at Shakespeare’s birthday knees-up. To find out more about the competition click here. 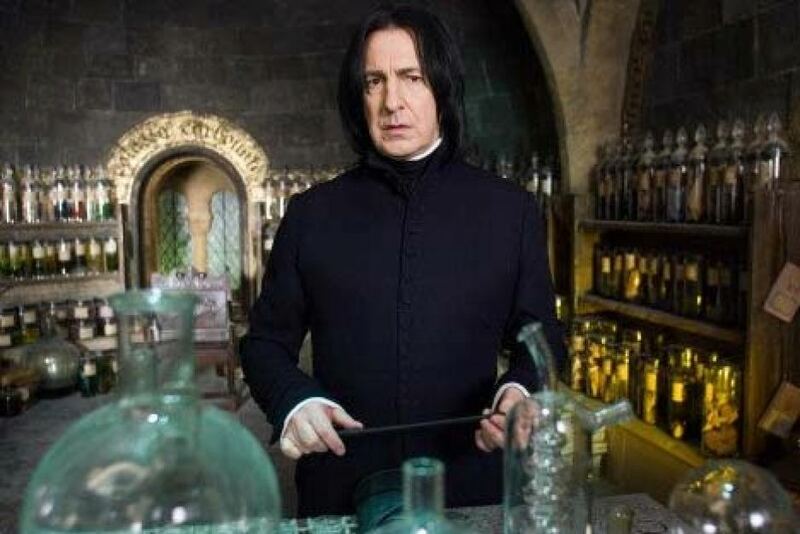 If you’re a fan of Harry Potter, Love Actually, or many other films, then you may know who Alan Rickman is. He also began his acting career in theatre. He chatted to the Globe this week about Shakespeare, his acting in relation to Shakespeare and you can check out more in the full interview here. Will actors, companies and productions ever be as good as the play? Rickman discusses this. Exciting stuff and not a potions master in sight.. This Thursday the BBC is airing a show about Shakespeare’s mother, and if you didn’t catch it you can always check it out over on the iPlayer. You can read all about it in the Stratford-upon-Avon Herald. Of course given the upcoming day which celebrates love, or at least Valentines day, Shakespeare inevitably pops up as suggestions for quote to include on cards. Buzzfeed have a few mentions of him here. Alongside JK Rowling’s “Always” which while profound to readers of the books may be lost a little on others. But some of the suggested quote (of Shakespeare writing on love) are well er a little bit odd. Perhaps not quite the one-liner you’d hope for in a Valentines card from that secret admirer of yours. Take the Henry VI Part One quote selected here (in a list of top 50 love quotes from the plays) “She’s beautiful, and therefore to be wooed; She is woman, and therefore to be won” while the sentiment is nice it seems almost to suggest that that’s what women are there for – just to be won and wooed by men. Henry V on the other hand, although undoubtedly nervous is more direct and it seems to me more genuine with his feelings as he utters the words: “I know no ways to mince it in love, but directly to say ‘I love you’” The question is, would you woo with Shakespeare, or would you be wooed by him (last minute Valentines day idea anyone?) And if the answer is yes to either question which lines would you select to either win or be won by? Comment or tweet in with your responses. Finally with Valentines in mind I leave you with Sonnet 130 like you’ve never heard it before – featuring George Bush, Jude Law, and Sean Connery amoung others (well almost). Until next time Foolery lovers, keep foolin’ around Shakespeare style.